While condemning racism and discrimination ought to be the steadfast position of any university administration, the phrasing used by University administrators suggests administrative approval for removal of posters and other signs that students dislike or find offensive. Even such tacit approval of censorship is contrary to the very idea of freedom of speech. On Monday, September 26, free speech lost on the campus of the University of Michigan. The President of the University, Mark Schlissel, along with the Dean of the College of Literature, Science and the Arts, Andrew Martin, condoned the removal of posters that students found offensive. This is a position inconsistent with both the First Amendment and the robust commitment to free speech necessary for a public institution of higher education. Even such tacit approval of censorship is contrary to the very idea of freedom of speech. In allowing for the removal of publicly posted documents based on content alone, the University is taking a stance on what students are allowed to both say and hear on campus. This paternalistic censorship, while well-intentioned, does a disservice to the entire campus community. Even the most deplorable speech, including the Alt-Right posters found on campus, are protected by the same laws that protect the organizers of protests and the posting of counter speech. Allowing censorship of what is today deemed abhorrent opens up the path for censorship tomorrow of ideas that are today held dear. As Justice Brandeis reminds us: “Publicity is justly commended as a remedy for social and industrial diseases. Sunlight is said to be the best of disinfectants; electric light the most efficient policeman.” While this quote was originally applied to the lack of transparency in financial institutions, it is also applicable to institutional racism. If the campus community truly wants to address issues of racism and discrimination, the hateful speech posted on campus must be exposed in the light of day and talked about rather than removed or ripped off of walls and left to fester in the shadows. Counter speech is far more powerful than censorship. Of course, many students – even those who may condemn this article – have taken this principle to heart and organized their own speech to counter the views espoused by the posters. Already, student leaders have organized rallies in the common spaces of Angell Hall and on the Diag in addition to a steady stream of commentary on social media combating the racism in the posters. These are laudable actions. Counter speech is far more powerful than censorship. The University may have a policy against discrimination or bias, but under the First Amendment they cannot exercise their power as a state institution to curb free speech unless it is an explicit call for violence against a person or group. I have all the sympathy in the world for the people who are hurt or offended by these posters, and zero patience for the ideas espoused by the hateful people who made them. That being said, I can’t condone the University exercising its authority in a way that limits the expression of even a repugnant group of imbeciles. To do so sets a precedent by which the University can silence those whose speech is unpopular or controversial, which could just as easily allow them to shut down protests by Black Lives Matter or Students for Justice in Palestine. I’d rather let all of these groups speak out, and allow people to see which ones are worthy of attention and thought. You’re right. Should have fact checked that first part. Still, my point still stands that the University has a longstanding policy and commitment to actively dealing with incidents of bias and discrimination. This situation clearly falls underneath their stance towards diversity and inclusivity. To me it seems absurd to argue these posters should stay up just because free speech is a thing. Once the posters have been put out, the damage starts, and the only way to curb it is to take them down. Black people deserve a campus climate without posters that challenge their intelligence or ability to date people from other ethnicities. This isn’t a hypothetical question of whether damage is being done or not. If you witnessed any of the protests, you would know people are genuinely hurt by these words, and that’s not fair. Um? I went and did some research and none of the information on the poster about domestic violence is true. Furthermore, you are antagonizing people by putting up these posters. Putting up statistics without trying to ask why these statistics exist might be constructive, but instead it paints with a broad brush a narrative about an entire race which is disgusting and wrong. Real people are hurt by these images, people who could be spending time studying or working and instead have to have these posters haunt them on campus. Do you have no empathy? As for white people being proud of their identity, this is something very clearly established by our society. White people aren’t singled out and targeted for their race on a day to day basis. White people don’t have images of their race broadcast all over the internet of getting murdered by a system that is built to protect them. White people don’t have posters put out explaining why they shouldn’t be dated. You tell me if you’ve been living in fear walking by police officers at night. What did the posters say that’s so bad? They said that Whites should be proud of their identity – good! They listed some facts about violent crime committed by blacks. Does anyone contest that these are facts? Evidently not. Stating facts is a good thing. Therefore the posters are good. Actually, hate speech IS protected under freedom of speech, according to Brandenburg v. Ohio (which protected the overtly racist speech of the Ku Klux Klan) and R.A.V. v. City of St. Paul (which struck down a city ordinance banning hate speech). What isn’t protected is a direct incitement to violence, which these posters are not. 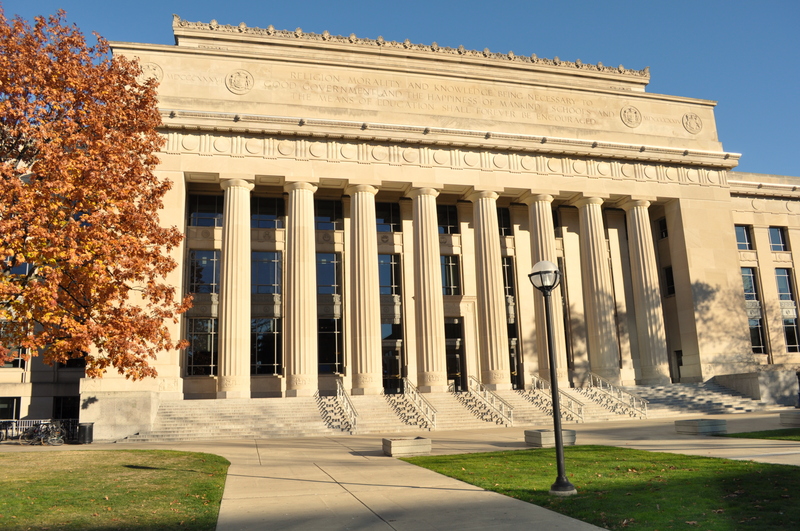 As a state institution, the University of Michigan is bound by the First Amendment, and seems to have violated it in this case. Just because the signs are vile doesn’t mean they can be taken down. Hate speech isn’t protected under freedom of speech. Also, the University of Michigan specifically has policy that prohibits prejudice and discrimination based on race, gender, sexuality, religion and other social identities. So IMO they are doing exactly what they should be doing. Everyone has seen the posters already. They have no place on campus.